Can Truck Drivers Find Churches On The Road? Truck stop ministries are in the TAs and some Petros. They are headquartered at the TAs in Jackson Georgia. I will be going to the one at the TA in Baldwin Florida tomorrow at 11 am. You can Google truck stop ministries and see all there locations. Nosing In. I still just don't get it! I am nose in at the pilot in mcdonald tn now. It is quiet and peaceful. No loud radio or tv or video games next door and i have a great view of a field instead of a bunch of trucks. I nose every time i can. I have owned 2 trucks in the past and I am getting ready to buy my third one soon and no way I would do it for a nickel more. You have to pay 8 percent more in taxes and a blown steer tire on the side of the road is 1000 bucks. It does not need a sleeper to be legal. You have to log off duty but you can sleep in the truck. If it is diesel you can idle and run a.c. with the window down a little. I have been paid on a 1099 most of my life it is not illegal as long as it is not forced dispatch. Sounds like a hard job because of the lack of a sleeper. Also you will have to buy all your meals at restaurants and it gets expensive. 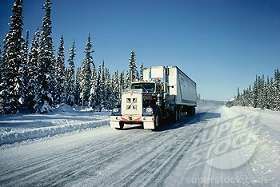 You will be stuck waiting for a load at times and I would hate sitting around in a pick up truck for 24 to 48 hours so you are going to need a motel from time to time. Hair test for weed go back 6 months. You carry a paper log book as a back up in case your elog breaks. You can't fill it out if your elog is working. This is the slow season. It usually picks up in the middle of April. You should be getting more miles soon. The first quarter is always slow. DAC says I ran off road (technically true). Unemployable for 5 years now? Put your side of the story on dac it will help. What happened to you could happen to anyone. Good thing you made the decision to shut down. Sounds fancy. How much is a private school now days? Ok, I hear you on the lazy but. I left saint Louis area at about midnight last night. I got to the TA in Cartersville GA this morning. I hit the back row for easy Pickens and got a nap. Then I walked across the back lot down the stairs across the fuel island past the shop ( 4 hour wait for a pm) and inside bought breakfast and walked all the way back looking for what I consider the best spot in the whole lot ( non paid) and I swore I would get that spot. I got a spot in the second row and watched and waited and a spot real close opened up so I fired her up and headed towards it at 5 mph (elogs). I now am 3 spots away from where I want. I have in till Mon morning to get that spot. Yes, I am that bored. So it ain't always lazy. I live and drive out of Florida and if there is any way you can train and get at least 6 months experience out of NC you will have a lot more options and choices. Swift lease. Can truck be used for any other company. Game: who is where today? Oh man, the only thing worse than that is being drug to a kid's birthday party at Chuckee Cheese's! Yep. This is why i dont pull temp box. It would be beneficial to to do so because i live in south florida but i haye the treatment at these places. Have not pulled temp since around 2000 and these places have not changed. Sitting at a grocery warehouse in Shreveport. i have a dry box and i hate these places. Oh well.